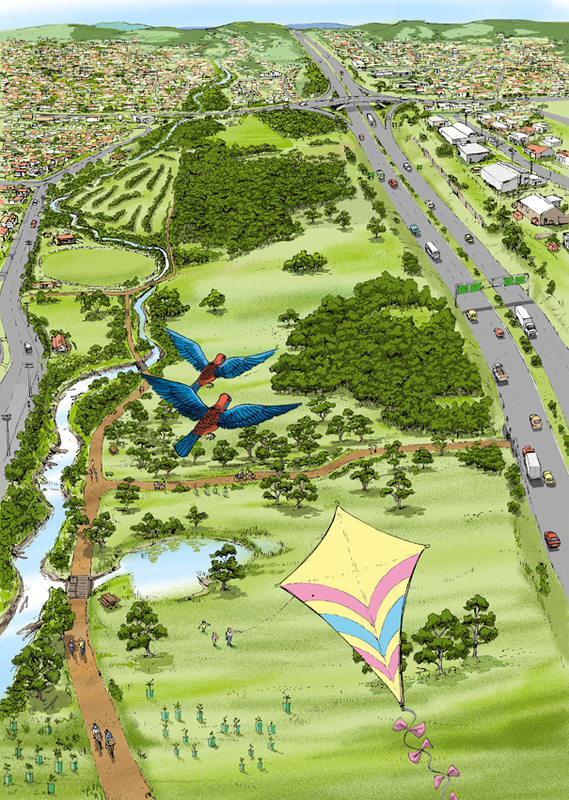 The Living Links vision is to create an urban ‘web of green’ where people and nature connect. To achieve this, we are focusing on three goals. A web of green. The region supports an interconnected network of high-quality natural spaces and associated recreational assets. People are connected to nature. The community values, uses and actively cares for natural spaces (and associated recreational assets) across the region. Urban nature is valued and resourced. Government and stakeholders see urban nature (and associated recreational assets) as a high priority for support and investment.